THE NUITS D’AFRIQUE VILLAGE: SIX DAYS OF OUTDOOR ACTIVITIES AND SHOWS, FREE FOR THE WHOLE FAMILY! From July 19 to 24, the Parterre du Quartier des spectacles and the Îlot Clark will come to life and take on the look of an Africa village, with an additional day and a new family-oriented space that festival-goers are sure to appreciate! The Nuits d’Afrique Village, on the Parterre du Quartier des spectacles, has been expanded and enriched. A sixth day of outdoor activities and concert events, free of charge. A unique atmosphere and an explosion of activities are on the program. The days will move to the sound of world beats. More than 450 singers, dancers and musicians will take turns on the LOTO-QUÉBEC big stage. Early in the day, OPEN-AIR WORKSHOPS offer an array of activities, oriented to learning traditional instruments as well as African and Latin dances. Audiences and families take over the grassy areas, savour tropical-flavoured ice cream and enjoy food and drink with tastes from around the world. Some will do business at the fabulous TIMBUKTU MARKET, where merchants compete in inventiveness to seduce the public with flamboyant clothing, jewellery, musical instruments and other treasures from distant origins. Not to forget DISQUES DU MONDE, the only shop in town offering an exclusive selection of world music albums. On the LOTO-QUÉBEC big stage, artists who have been part of the Festival over the last 30 years: Jab Jab (Trinidad/Québec), Jah Cutta (Jamaica/Québec), K’Koustik (Guadeloupe) and Lorraine Klaasen (South Africa). The Groupe Musical Cour des Grands (Dem. Rep. Congo/Québec) will pay a special tribute to Papa Wemba. The cream of Congolese musicians in Montréal, under the direction of Getry Mavambu, Tabu Ley Rochereau’s drummer for 20 years, will pay tribute to the flamboyant nightingale, the global ambassador of Congolese rumba. July 19, Mexican Institute of Sound (Mexico) will mix cumbia and chachacha classics with vocal samples and modern scratches. July 20, Afrique en Cirque – with Les Productions Kalabanté (Guinea/Québec) will display the broad diversity of African arts through rhythmic sequences, daring acrobatics and explosive percussions. July 21, Les Ogres de Barback (France) – Their concerts are great celebrations, with Gypsy-tinged alternative rock, warmly imbued with world beats. July 22, Sierra Leone’s Refugee All Stars (Sierra Leone) – A musical style proudly anchored in their roots, open to the world, driven by a message of love and peace. 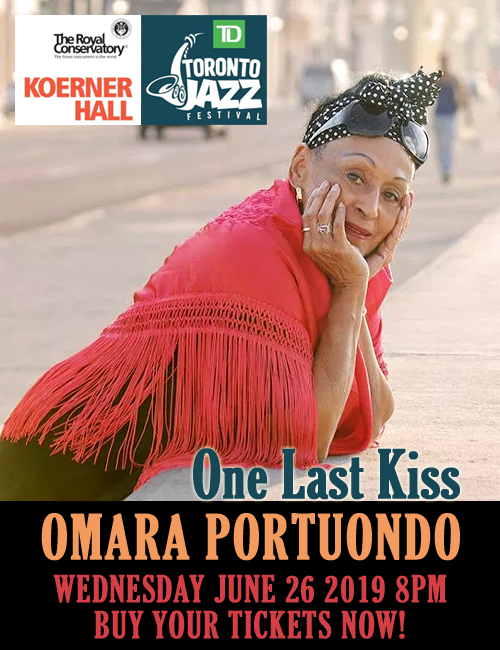 July 23, Orquesta Aragón (Cuba) – THE institution of Cuban music. THE benchmark in Latin music. Legendary! * Grand closing concert * July 24, Meiway & Zo Gang (Côte d’Ivoire) – An original brew of various folklores from southern Côte d’Ivoire dressed up in modern sounds, Meiway’s zoblazo is a percussion-based beat that is danced to … with a white handkerchief. You better believe it! 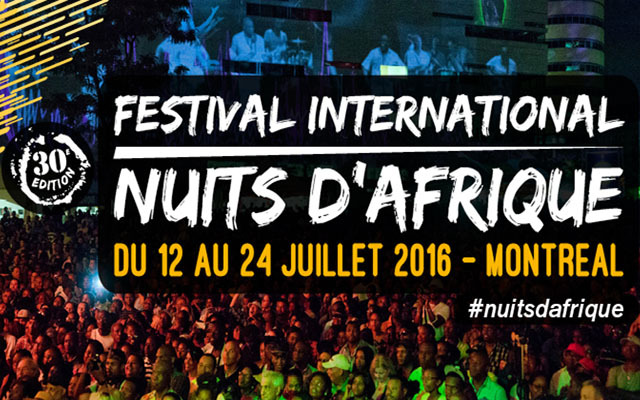 From July 12 to 24, 2016, the Festival International Nuits d’Afrique celebrates three decades of world music!